In Traditional Chinese Medicine the energy of SUMMER resonates with the heart and small intestine. 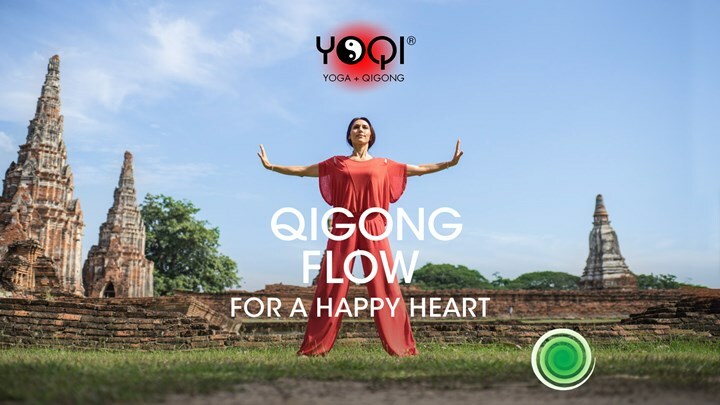 Qigong Flow for a Happy Heart is a complete routine designed to purify, nourish and balance the heart and small intestine. The exercises work with the fire element to ignite our internal power and move through a process of internal alchemy by uniting fire and water; ultimately invoking our sense of compassion and wisdom. Filmed at the ancient Buddhist temple ruins in Ayuthaya, Thailand. NOTE: A monthly subscription gives you access to all of the videos in this Video on Demand library. New videos are added every month.